Mattocks, the consumer facing rose brand of commercial grower, John Woods Nurseries, was awarded a Silver Gilt for Cut and Container-Grown Roses, creating the beautiful display at the RHS Hampton Court Palace Flower Show 2013 from 9-14 July 2013. Blooms included the new Rose Cherry Girl, launched at the show, which is a floribunda rose from Kordes. Featuring soft red double blooms on sturdy stems, the rose has healthy disease resistant foliage. Its compact growth makes Rose Cherry Girl ideal for borders and patio pots. The entire display was awarded a Silver Gilt in the Roses and Floristry Vintage Festival and during the show attracted many visitors, including Formula One presenter Suzi Perry. Mattocks Roses are stocked by nearly 180 outlets across the UK, including branches of The Garden Centre Group, Notcutts, Strikes of Klondyke and many independent garden centres, all of whom are detailed on the Mattocks Website. Mattocks was established in 1875, since when it has earned a reputation for introducing novel disease resistant rose varieties in a wide range of colours, selected for their health, fragrance and outstanding garden performance. For further information about Mattocks Roses, visit www.mattocks.co.uk. Mattocks was established in Oxfordshire in 1875. 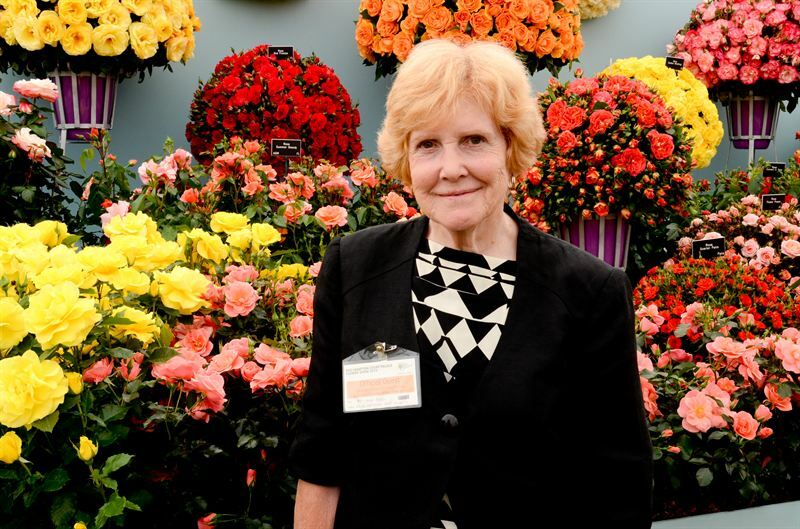 Since then, the company has built a reputation for consistently developing novel, disease-resistant varieties of roses and creating beautiful displays at the RHS Flower Shows at Chelsea and Hampton Court Palace. Mattocks is also responsible for the County® series of roses, flowers developed for – and named after – a number of British counties. A wide range of colours, gentle fragrances and outstanding health properties ensure that all roses in the Mattocks range stand out from the crowd and give excellent garden performance. The company also acts as UK agent for W. Kordes’ Söhne of Germany, one of the world’s most prolific rose breeders. Mattocks is a subsidiary of Suffolk-based John Woods Nurseries, Gold award winner at the RHS Chelsea Flower Show 2010, for its Upwardly Mobile garden feature. The County® of Staffordshire Rose was bred by Mattocks for the Staffordshire Society. The Society exists to represent the geographical County of Staffordshire (Based on the pre 1974 boundaries) and make people aware of their Staffordshire heritage. Key to achieving these objectives are social gatherings which encourage cordiality and good fellowship amongst its members, and support for worthy causes within the county of Staffordshire.